FREE BOOKS! Back to School Contest. It’s not too late to enter if you haven’t already!!! We’re celebrating the beginning of a new school year by giving away books! Two books by Liberty Hyde Bailey (THE HOLY EARTH and WIND AND WEATHER:POEMS) — two sets to give away. 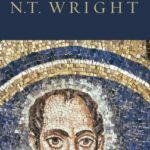 First two books in Zondervan’s Ancient Context, Ancient Faith Series — two sets to give away. The contest will run from now until Monday August 31 at 11:59PM EST. On September 1, we will draw winners at random from all eligible entrants. REMINDER: Enter to win free books!! !